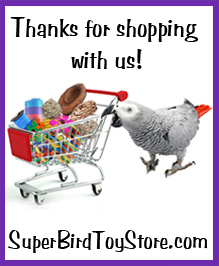 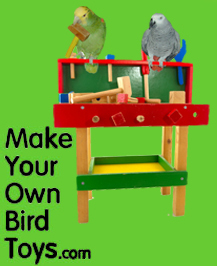 10 x 9.5 x 6"
Your small bird is sure to relish all that the Vine Ring Platform offers! 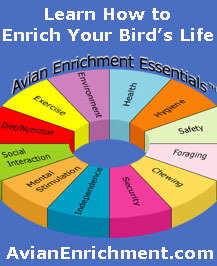 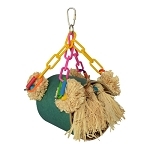 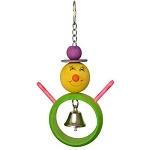 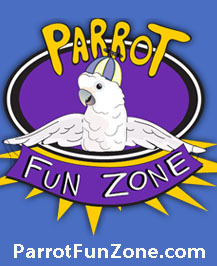 Designed for the safety and needs of small birds, this toy is packed with outlets for natural behaviors. 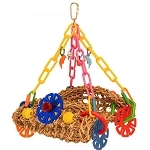 A seagrass mat secured with a natural vine ring creates cozy quarters for perching and swinging. 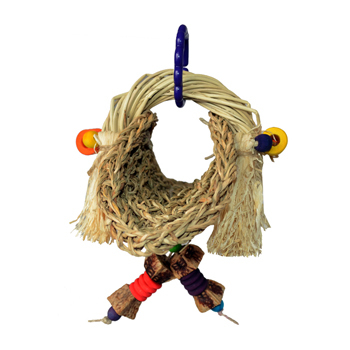 Wooden beads, corn husk fringe, and mahogany blocks provide opportunities for preening and chewing.